The Nebraska Invasive Species Council (NISC) was formed in 2012 by the Nebraska Legislature to serve as an advisory council for state invasive species policy and to coordinate management and research efforts across the state focused on preventing, detecting and managing invasive species. 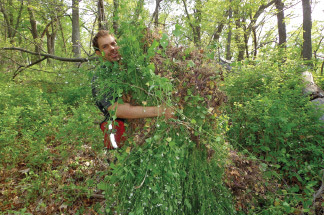 The Nebraska Invasive Species Program coordinates the council and provides outreach, management and research information to the public and stakeholders. A copy of the legislation creating this Council can be accessed here. A copy of the Council's adaptive managment plan can be accessed here. The Council's annual report can be accessed here. Provide information to the legislature for decision making, planning, and coordination of invasive species management and prevention. Recommendations for legislation regarding invasive species issues. 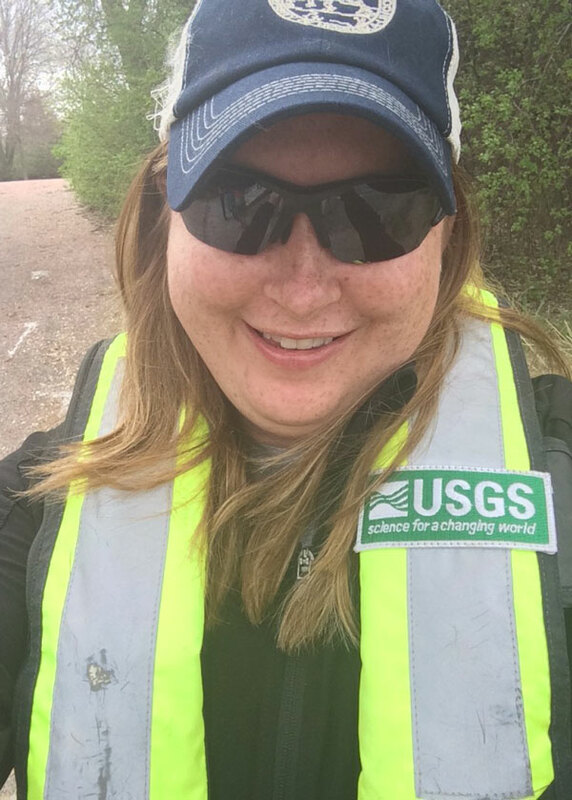 Allison is the Nebraska Invasive Species Program Coordinator for all state and federal agencies and non-governmental organizations involved in invasive species research, management and policy across the state of Nebraska. She collaborates with agencies and organizations to develop invasive species management plans to aid partners with invasive species management and prevention. In addition to collaborating, she coordinates activities of and represents the Nebraska Invasive Species Advisory Council as the liaison with the State Legislature. Allison develops materials and provides outreach to Nebraska governments, individual stakeholders, and the general public regarding the management, and research of invasive species. 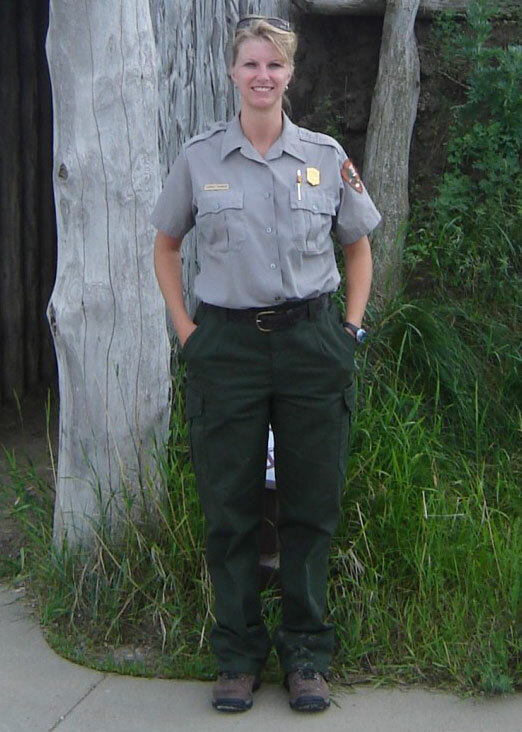 She also networks with other invasive species biologists in the state and region, including diverse stakeholders such as the public, state and federal government agencies, non-government organizations and others. Carmen is duty-stationed out of the Midwest Regional Office in Omaha, Nebraska. There she supervises three inventory and monitoring networks (Northern Great Plains, Heartland, and Great Lakes). These Network are responsible for conducting long-term natural resource inventories (e.g., fish, mammals, birds, plants, geology, etc. ), and coordinating the development of numerous long-term monitoring protocols for approximately 40 national park units within a 13 state area in the Midwest. Carmen also supervises three Exotic Plant Management Teams that are charged with inventorying, monitoring, and eradicating exotic invasive species in the Midwest Region. The Exotic Plant Management Teams are also partners in several cooperative weed management areas in Nebraska, South Dakota, and Wisconsin and she helps to facilitate collaboration with local weed management groups and universities on large restoration activities as well. Justin grew up on a farm by Newman Grove, received his B.S. in biology from Midland Lutheran College, and received his M.S. 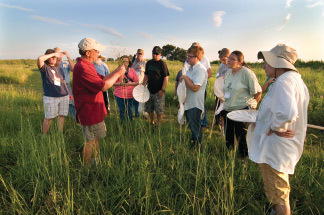 in Wildlife Ecology from the University of Nebraska-Lincoln. He worked for the U.S. 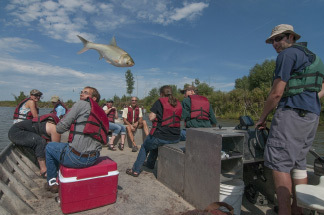 Fish and Wildlife Service in Grand Island with threatened and endangered species. 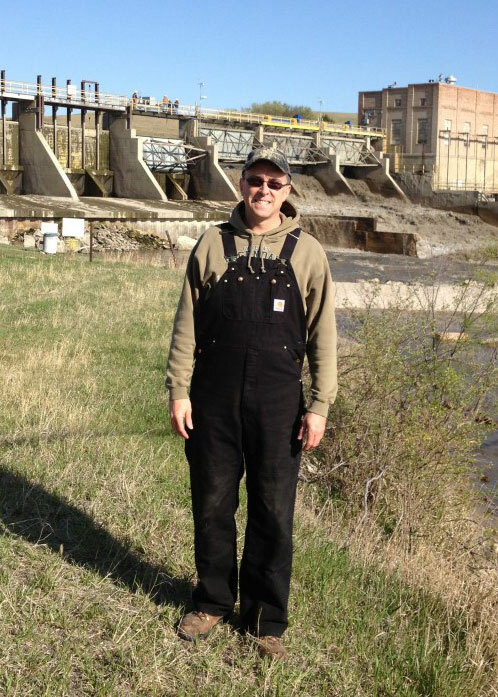 Since 1993, he has worked in the Environmental Department for Nebraska Public Power District in Columbus. Besides invasive species, he works with power plants, river and lake monitoring, fisheries, and bird – powerline interactions. In addition to being on the NISC, he is on the board of directors for Keep Columbus Beautiful, Keep Nebraska Beautiful, the Columbus High Sports Booster Club and is a certified Hunter Education instructor. His wife, Chris, and he enjoy traveling and visiting National Parks. They are parents of two college students. His hobbies include hunting, shooting sports, and working with people. Kevin Pope is the Leader of the Nebraska Coooperarive Fish & Wildlife Research Unit. He received his Ph.D. from South Dakota State University in 1996, his M.S. from Auburn University in 1993, and his B.S. in Fisheries Science from Texas A&M University in 1991. Kevin grew up in Denver, Colorado, but was born in Abilene, Texas. Before joining the Nebraska Coop Unit in 2005, Kevin was an Associate Professor of Fishery Science at Texas Tech University in Lubbock, Texas. 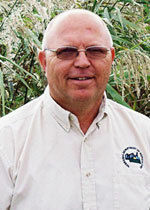 In the spring of 1985, Mitch was appointed as Polk County Weed Control Superintendent. He was an active member of the Nebraska Weed Control Association where he served on the board of directors. Mitch also served as Vice President for one year and President for six months. In September 1991, Mitch accepted a position with the Nebraska Department of Agriculture as an Agricultural Inspection Specialist in the noxious weed program. In 1993 he was promoted to Staff Supervisor and in 1998 promoted to Program Manager. Mitch oversees the day to day operation of Nebraska’s noxious weed program and supervises three field staff who work directly with each county weed control authority. The field staff has been instrumental in building a good program. These folks are on the front line everyday working with each county to monitor, evaluate and assist. Beginning in 2007, Mitch has assisted with the implementation of the Riparian Vegetation Management Task Force and grant program to improve invasive plant management on Nebraska’s river systems. Noxious weed control has been a challenge throughout the years. Mitch enjoys working with each County Weed Control Authority and is proud of the progress made across the state. Public awareness is a key component to a successful program. Mitch is also a co-author of Weeds of the Great Plains which was released in the spring of 2003.